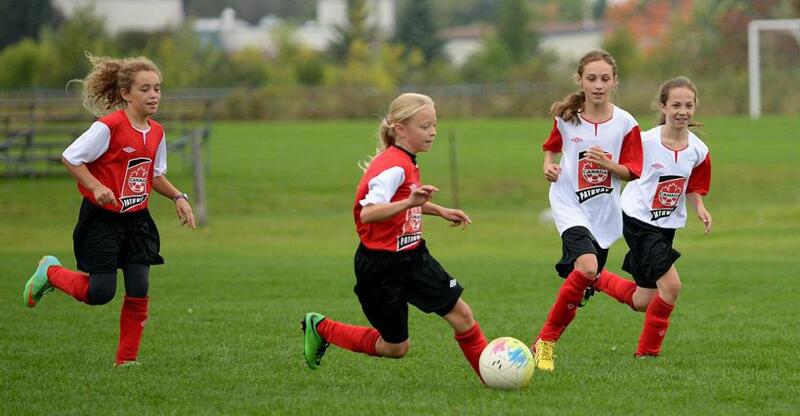 Since the adoption of the Long-Term Player Development (LTPD) model in 2008 when Canada Soccer launched Wellness to World Cup, LTPD principles have become commonplace in a majority of environments where young Canadians are playing the game. According to a recent survey of stakeholders responsible for grassroots development, including players, parents, coaches, referees and soccer administrators, more than 75% of people say they support the principles of LTPD. Within in the first four stages of the LTPD model, age and stage appropriate training methods ensure that skills development is placed above all else up to Level 4 – Train to Train. Agreement with these principles is extremely high with more than 90% of respondents understanding that smaller team sizes for younger athletes and team selection based on a range of factors, not solely age, but mental and physical maturity, as well are vital. Nearly all respondents agree that developing player skills ahead of playing or winning games at young ages and that getting young players as many touches on the ball as possible in training environments (96% and 98% respectively) is important. 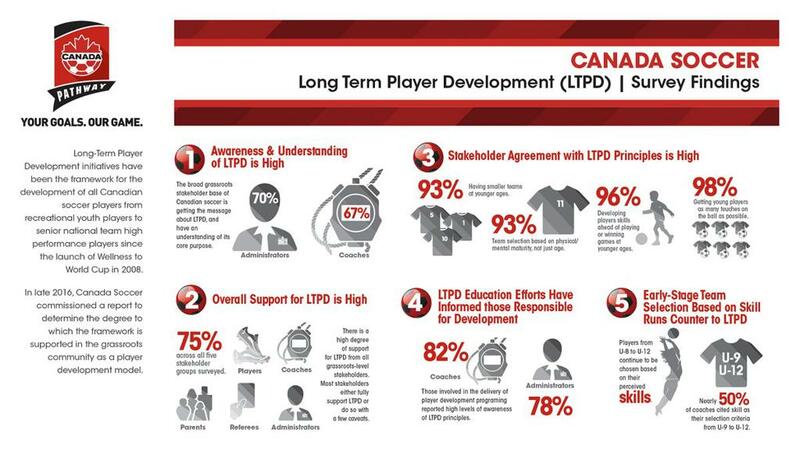 The survey also showed that while there is a high level of awareness among stakeholder groups directly responsible for the delivery of soccer in Canada, there remains an opportunity to communicate the purpose and potential that a fully realized vision of Long-Term Player Development can provide young players and Canadian soccer. Coaches and administrators across the country report the deepest levels of understanding of the principles and purpose of LTPD. However, players, parents and match officials all have a role in ensuring that Canada’s development environments place the needs of the child first.